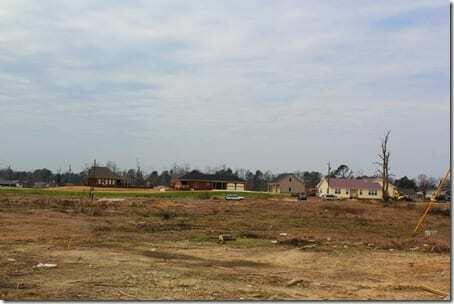 Alabama Bloggers: Healing and Help Comes to Pleasant Grove. 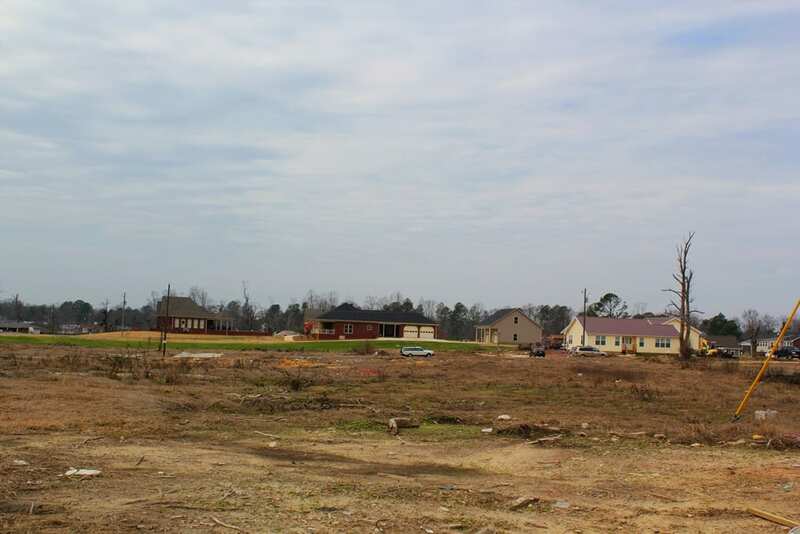 Shortly after the April 27th tornadoes, I visited Pleasant Grove. Although I went to half a dozen destroyed towns, Pleasant Grove was one of the most painful. I knew what it was supposed to look like, as I had spent many days of my childhood visiting friends who lived there. And also, there was this house. I broke down when I found it. I had barely removed the blue bow from my own mailbox when the tornadoes hit. 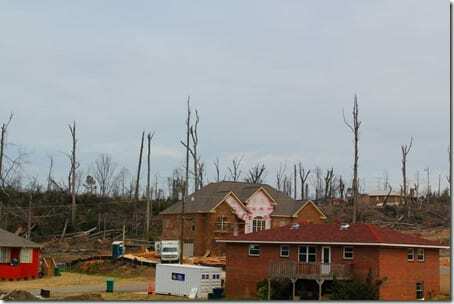 Had the storm moved a little more in another direction, this house could have just as easily been mine. I never found out if that baby was okay, but I think about him often, as I thank God for the opportunity to look into my own baby boy’s blue eyes. 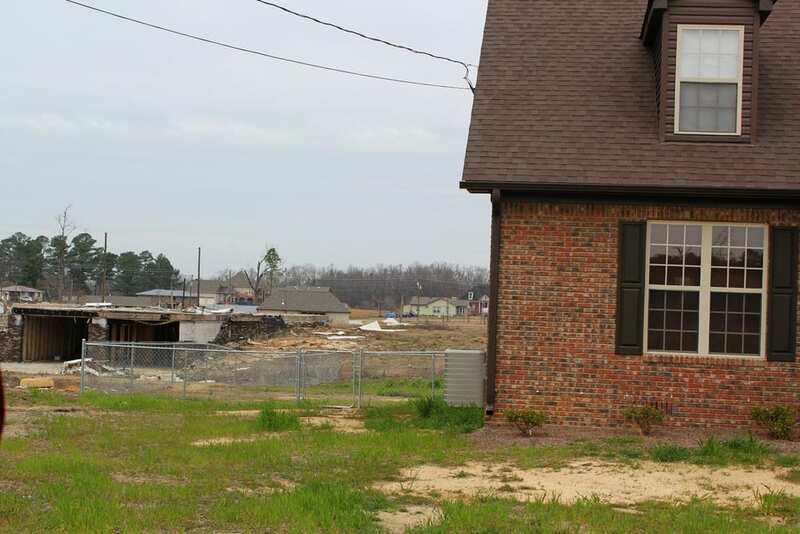 For the first time since that original visit, I returned to Pleasant Grove this past Friday. 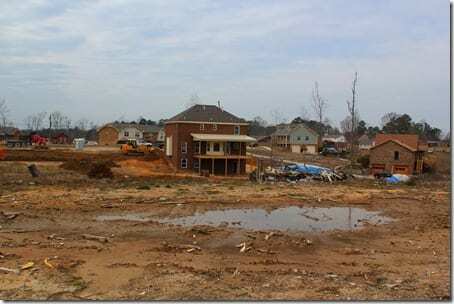 As I entered the city, the determination to rebuild their community was immediately evident. 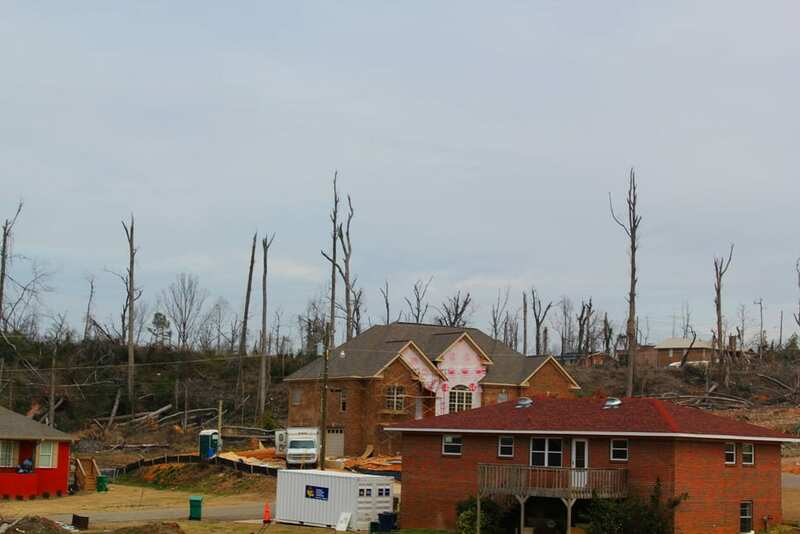 Both in tornado damaged and non-damaged areas, construction was everywhere. 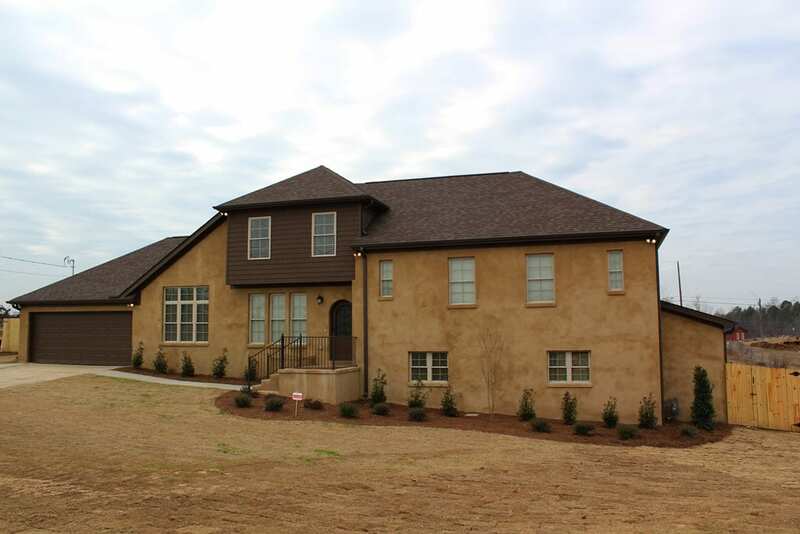 New neighborhoods, new houses, new everything. Their commitment to stay in their community was so admirable, despite the wide open spaces all around them. 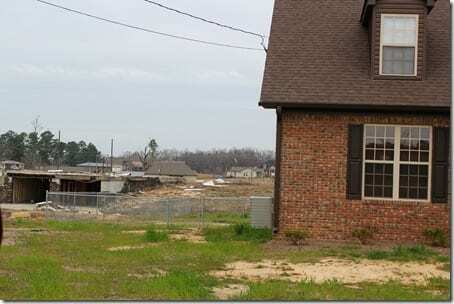 Brand new houses would be alone on a block, with cleared fields on one side and house ruins on the other. 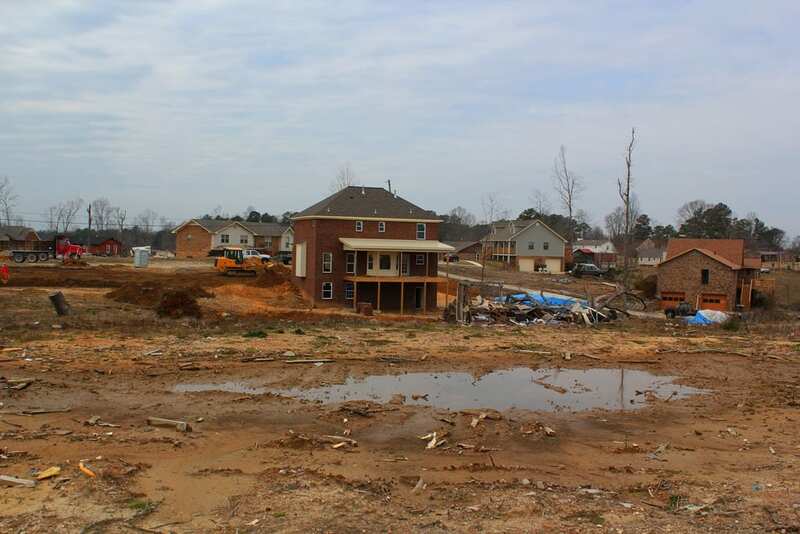 With most of the ruins cleared, it wasn’t nearly as evident as to what had happened to this community. 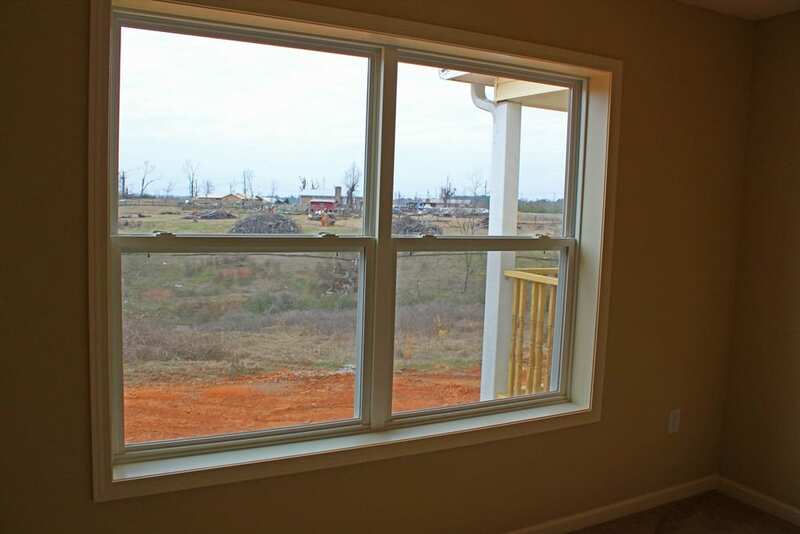 In some areas, the new construction was so widespread that if it weren’t for the telltale eerie trees, one who didn’t know might just think it was a brand new development. My visit to Pleasant Grove was for the opportunity to meet Sara Newton and Jim Mosley. 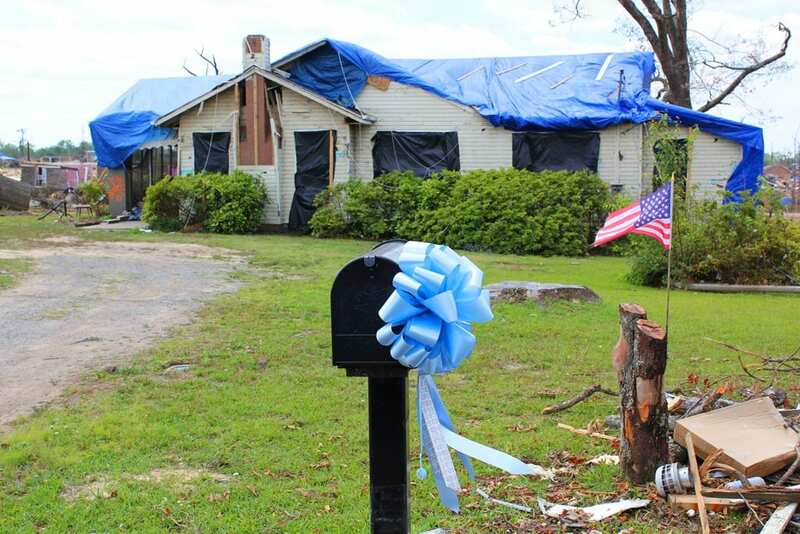 Sara and Jim almost certainly would have never crossed paths if it weren’t for the April 27 tornadoes. Sara is an architect who lives in Clemson, South Carolina, and Jim is a retired steel mill worker in Pleasant Grove, Alabama. 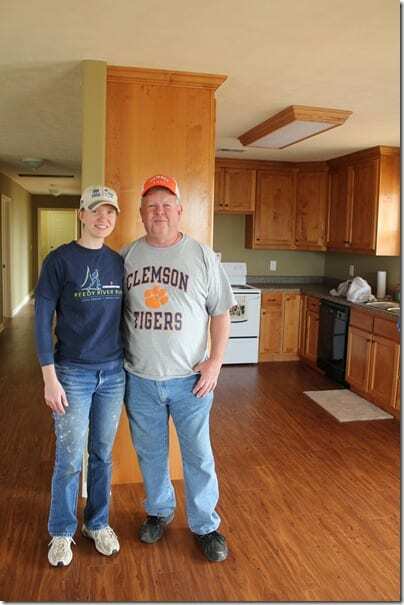 After the tornadoes hit, Sara and her father, Steve Sanders, wanted to find someone that their church service group, the Clemson Pres Doers, could bless. And when I say “bless”, I mean “build a new house”. Their motto, Go Big With God, is certainly fitting. They did some research and found a list of people who needed houses. Jim was on the top of the list. So they met with him, committed to the project, raised all of their own funds, and built Jim a house. Jim’s original house was next to where the new one is, but very little was left. He was at home during the storm, and managed to secure himself in the doorframe. He later had to be dug out of the rubble. Jim told me that when he was going through a stack of papers that hadn’t been blown away, he found a house plan that his mother had saved – it had been her dream home. 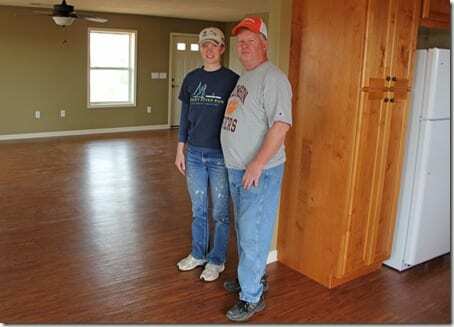 He gave the plan to Sara, they tweaked it slightly for Jim’s needs, and he now has his mother’s dream home. 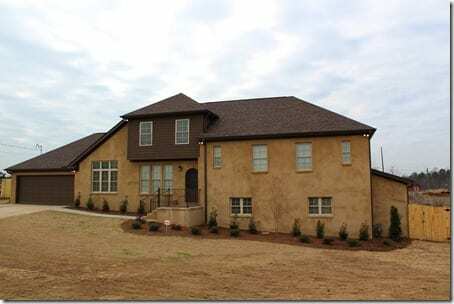 Jim got his certificate of occupancy on Friday, and plans to move in later this week. For this building project, the Clemson Pres Doers raised over $90,000, and only lack $4,000 to finish paying for all of their expenses. 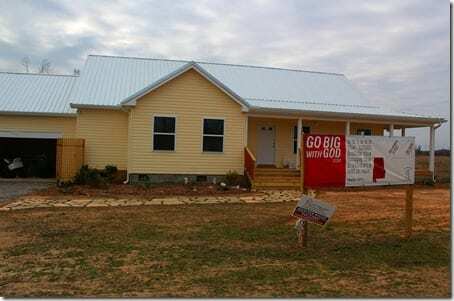 They have also brought groups of volunteers from South Carolina throughout the whole process, giving their church members had the option of serving or giving (or both) to complete Jim’s house. I was astonished at their generosity, commitment, and desire to love their fellow man in such a practical way. Not all of Jim’s neighbors have been so blessed, yet. 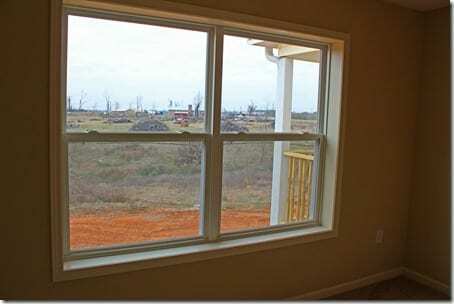 As you look out of Jim’s window, there is still much to be done. I asked Jim what made him stay in Pleasant Grove. Jim has been living with his Aunt and Uncle a couple of miles away during this construction process, and is thrilled to be moving into his beautiful new home. When I asked him if I could get his and Sara’s picture, Jim beamed. Then he said “Wait! !”, and pulled off his jacket. After all, being willing to wear another team’s colors is the highest form of gratitude around here. totally made me cry. Thanks so much for sharing this story. I had the privilege of being a part of week 1 construction with the Clemson Pres youth group. What an awesome experience to see these teens working happily together to raise those walls. It has changed their lives! This made me cry. What a beautiful story. 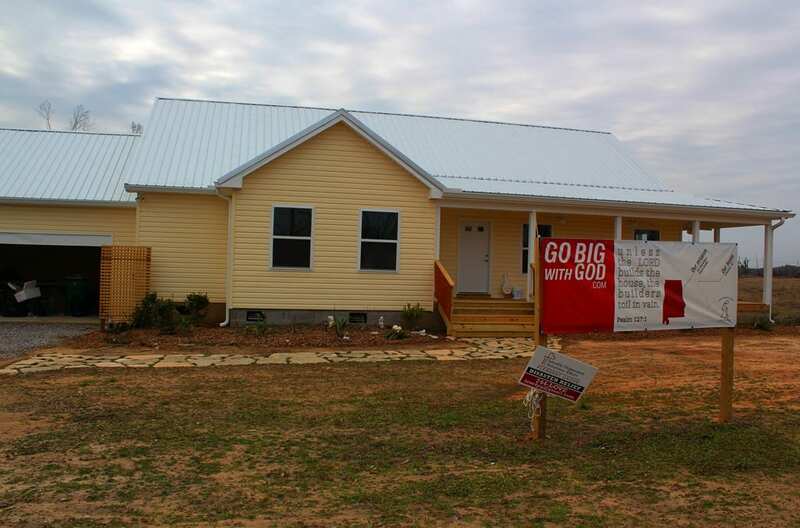 God has blessed so many lives through this project -- not only Jim's! I hope the ripple effect of these blessings never dies out. Jim: Keep it goin'! All of us: Keep it goin'!